What forms of payment does Lighthouse Express® accept? How long will a car wash take? Exterior Only washes should take 3 minutes. Our Full Service options include 15 minutes of manual labor to touch up your wheels, tires, door jams, front dash wipe, vacuum, and floor mat clean. Express Detail and Full Details may take longer and roughly require between 45 minutes and 6 hours. No appointment is needed for express and full service washes. We know our customers time is valuable so we provide a high quality wash in a timely and efficient manner. Express & Full Detail require an appointment. You can call to make an appointment or click here to schedule appointment online. Do you clean interior and/or shampoo the inside of vehicles? Yes! We currently do offer shampoo and interior cleanings and deep cleanings! Find out more about our car wash detail and detailing packages here! What if I am not satisfied with my car wash? Our goal is to provide an excellent experience for you. However, if for any reason you are not satisfied with your car wash, please speak with a manager so we can best resolve the issue. If we can not correct the problem with a touch up, or if the issue is not a result of owner neglect, we will rewash it free. You will receive the same wash package you originally purchased. Please bring your receipt to the location you visited and speak with a Manager. What should I do to apply for employment at Lighthouse Express? Fill out the Lighthouse Express Application online. To be part of the Lighthouse Express Car Wash team, applicants must have a heart to serve others, be dependable, and team players. We seek A+ team members and will do our part to compensate and encourage growth together. Please remember that employees at Lighthouse Express Car Wash must have and maintain a valid Driver’s License during employment and pass a drug screening before starting work. Please visit Join Team for more information..
Do you offer a Rain Check Policy? We offer Rain Insurance for a nominal fee to help ease the worry of a rainy day! If it rains within five days of your purchased car wash, we will re-wash your car, with the presentation of your original receipt notated with rain insurance. Please bring your receipt to the location you visited and let us rewash your car. Yes. You can purchase gift cards in denominations from $20 to $100 at any location during regular business hours, or in the Gift Cards section online. TIP: Buy Gift Cards online and earn bonus Lighthouse Express dollars! Can I use a gift card, token, Wash-A-Day℠ card, or Share Card℠ at any location? 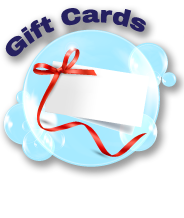 Lighthouse Express® gift cards, tokens, gift certificates, Wash-A-Day℠ cards, or any other Lighthouse Express promotional coupons or items can be used at any Lighthouse Express location unless otherwise noted on the item. Can I combine coupons and/or specials? Lighthouse Express Car Wash occasionally runs specials and provides coupons for our customers. Please note coupons can not be combined with any other coupons or specials. 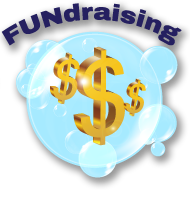 Additionally, if any coupon is being used, the discounted amount will be taken from the Original Full Price of the Car Wash advertised. Specials and coupons must be used by Expiration Date to be considered valid and if no expiration date is marked we reserve the right to terminate the coupon/special at any time. Please note all coupons and specials are bound to our “FAIR USE” policies and we reserve the right to refuse specials or coupons at any time, especially if we feel abuse present. Does Lighthouse Express hand wax? Yes, we do. See our detail page for more information about our wax detail jobs. In addition to our wax details however, we also offer our polish, sealer, and Simoniz Hot Wax & Shine™ . The polish and sealer add shine to your vehicle’s surfaces and improve and maintain your vehicles finish. Simoniz Hot Wax & Shine™ is a premium 100% Carnauba Wax product that bonds to the paint, chrome, and plastic on your car’s exterior. Simoniz Hot Wax & Shine™ reduces surface adhesion while maintaining that new car shine. By using Simoniz Hot Wax & Shine™ on a regular basis, you won’t need to hand wax your car. These three products provide excellent protection and keep your car looking new. NOTE: As promised, we are now offering express and full details to our customers! Visit often for updates on more exciting things we have in the works for our customers and fans. Does Lighthouse Express hand wash? Motors, Saab, and many others. Can I drop off my car? For detail jobs, yes, and we actually encourage you to as we like to spend ample time to make sure your car is pristine. Our focus has always been and will be quality. To give you the best quality detail we recommend you drop off your car and leave it with us for the estimated time given at time of appointment. 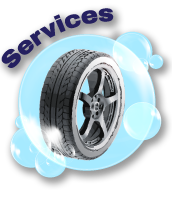 For express and full service washes however, we can serve customers and have them in and out quickly and efficiently, and there is really no need to drop off your car. Lastly, we encourage you to be available when the car is finished to inspect it while our employee is available to answer any questions you may have. Does Lighthouse Express wash engines? Absolutely! This service is available as part of our detail packages. Each engine is unique and will be addressed case by case, but rest assured cleaning engines is also something we can complete affordably. Remember, At Lighthouse Express Car Wash, we do one thing and do it well: we wash the interior and exterior of your vehicle and get you back on the road as quickly as possible with a quality so high it shines. 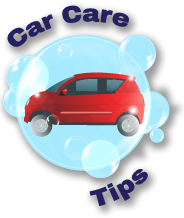 Auto manufacturers suggest that your vehicle be washed after every weather event; a regular wash schedule is recommended to protect and maintain the exterior and interior of your vehicle. We recommend a minimum of twice a month. You can read more on our car wash blog on this matter. What are the vehicle restrictions if any at the car wash? Can Lighthouse Express wash your vehicle? We work very hard to provide our customers with the best technology available to produce a clean, dry and shiny vehicle, along with the peace of mind that their vehicle won’t be harmed in any way. And although we’d love to wash every vehicle, there are some we just can’t and/or recommend using caution prior to entering our car wash.
Power antennas any antennas. Please remove your own prior to entering car wash. Your vehicle’s safety is our number one concern. Are you open during… Rain? Cold? Holidays? Rain? We are open even when it rains. There is no time like the present to get your car cleaned or detailed, especially the inside of your vehicle. Cold? Even in temperatures below freezing, we are open. Our equipment is able to safely clean your vehicle during very cold weather. Snow? We are open when it snows. We arrange for our lots to be cleared and ready for customers. Hurricane? In case of a hurricane or other natural disaster, we will stay open as long as possible. We will make decisions at the time of those events to ensure the safety of our customers and staff. If there is a closure, we will reopen as soon as it is safe for our staff to return to the location. Holidays? Lighthouse Express is open 362 days a year. We are closed Easter, Thanksgiving Day, and Christmas Day. 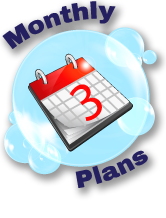 Feel free to check out our car care maintenance schedule or call us at (678) 389-7496 if you have questions. We are here to help. Have a question we didn’t answer here? Ask us here, and we will get back to you quickly.